World's longest aircraft is unveiled in the UK: The world's longest aircraft has recently been unveiled in U.K by the “Hybrid Air Vehicles Ltd”, the company which created the super machine. 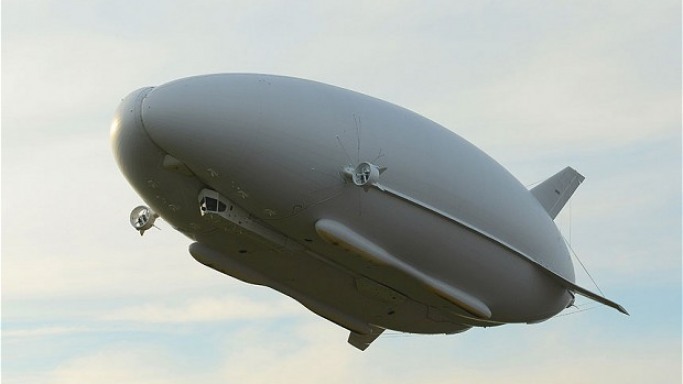 Interestingly the unique aerodynamic shape of the plane has been inspired partly by an airship, somewhat by a helicopter and quite a lot by a plane. It has been reported that the new aircraft can be even heavier than the "Antonov An-225", an aircraft that is currently the heaviest in the world. The innovative design of the new plane reduces the need to have dozens of crew hanging on to ropes holding it down every time it attempts to land. The plane can also be landed through remote control and even on water if needed. The developers have claimed that this kind of unique aircraft is the key to produce more efficient planes in future and there could be more of such kind of hybrid aircraft in the coming years. The world's largest machine can stay airborne for up to three weeks at a stretch, a feature which would be extremely helpful for delivering several tonnes of humanitarian aid at one go. It can also be used for transporting heavy freight across difficult terrain throughout the world as well as deliver aid to dangerous areas and perform diverse roles like surveillance and communications with aplomb. The cost of this special aircraft is reportedly around the $100 million mark. According to certain sources the designers are planning an even bigger version which would eventually be able to carry 50 tonnes at a time. The firm developing the plane have received $4 million government funding from the UK government to develop the technology and engineering designs for the project. According to media reports the 300 feet long plane is quite environmentally friendly due to the fact that it is fuelled by the inert gas helium.